Water leaking through basement walls. 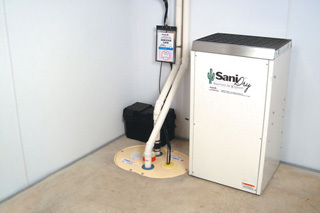 If you'd like to finally put an end to your basement flooding, you've come to the right place. We've been drying wet basements throughout the Greater Grand Junction area since we opened our doors for business in 1991. Waterproofing a basement takes one, maybe two days. One of the best things about our basement waterproofing system is that it includes a lifetime transferable warranty. We offer free, no-obligation basement waterproofing quotes to homeowners in our service area. Each of our quotes includes an on-site inspection of your wet basement, a written proposal for repairs, and advice on the options we provide for solving the issue permanently. Additionally, we also include our 88-page basement waterproofing book. This is sent to you before our visit for your own research and reference. Basements are far from being perfect structures-- and they're built in soils that are nowhere near perfect. 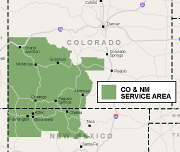 Unfortunately, water will leak or seep into your Grand Junction home and the surrounding areas in Colorado & New Mexico through every one of these imperfections. 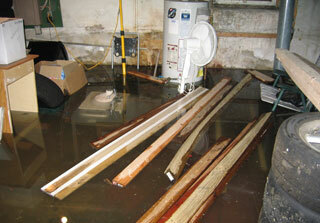 A majority of these problems can be solved with the help of a perimeter basement drainage system. This is also sometimes called an interior French drain. We install these by jackhammering a small area around the edge of your floor. Then, a trench is created, and some clean stone is laid on the bottom. A pipe system is then placed on top of this, and clean stone is laid on top of the pipe. Finally, the drain is covered with concrete, and it's ready to direct water to a sump pump system. Professional basement waterproofers like Silver River Basement Systems are ideal for a job like this. We know how to install the waterproofing system while minimizing dust and debris, the best ways to direct the water, and how to design a system that will NOT clog. Waterproofers that are members of the Basement Systems international network, like Silver River Basement Systems will also have access to a wide variety of patented & proprietary waterproofing products, such as the WaterGuard® drainage system, or the TripleSafe sump pump. Silver River Basement Systems would like to help you keep your basement dry all the time, and dry enough for basement finishing. If you'd like to learn how you can restore the value of your home and save up to 50% over other more invasive waterproofing methods, we'd like to hear from you. Call or e-mail us today for a free waterproofing quote!